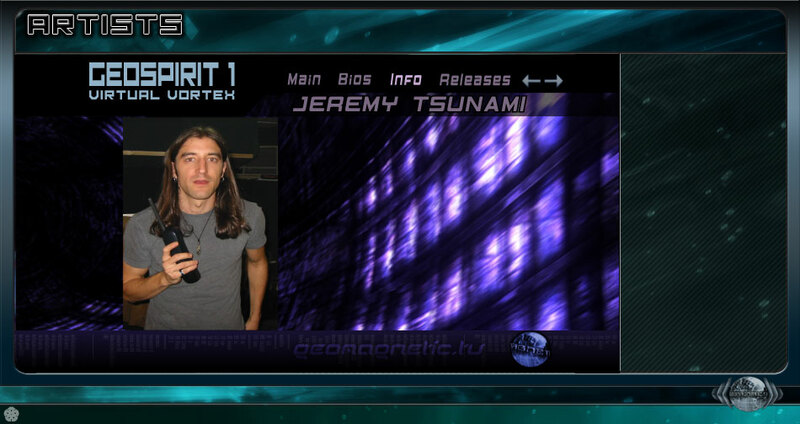 JEREMY RAFSON IS LEADING THE PACK AS ONE OF THE TOP PSYTRANCE DJ'S IN ISRAEL. HE IS A CO-ORGANIZER OF THE TSUNAMI PARTIES THAT ARE NOW FAMOUS IN HIS COUNTRY. JEREMY BUILT HIS REPUTATION ON POSITIVE ENERGY AND GOOD VIBES AT HIS UPLIFTING PARTIES. HE DJS ALL AROUND THE WORLD. TALAMASCA vs JEREMY TSUNAMI "TAKEOFF" WAS HIS FIRST MUSICAL HIT ON SPUN REC. HE RETURNED TO THE STUDIO WITH HIS FRIEND MAEL FOR HIS NEXT BIG HIT CALLED "HIGH VOLUME"!